“Pray without ceasing” the Apostle Paul exhorts us in 1 Thessalonians 5:17. Upon reading this, our first thoughts are questions: Is that even possible? How could I do anything else if I was to obey this? I can’t even pray 30 minutes (or maybe even 5) in one sitting, so how could I possibly pray ‘without ceasing’? 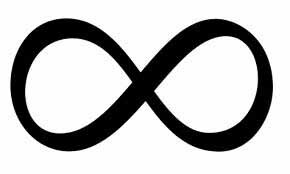 Several saints have attempted to solve how to do this throughout history. 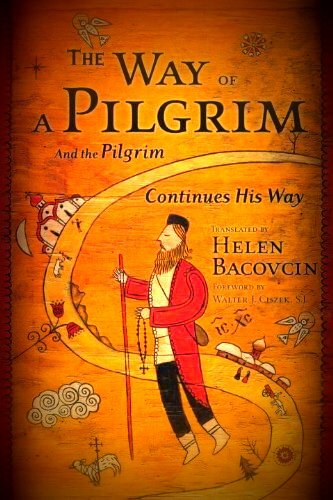 The unknown Russian pilgrim, in “The Way of a Pilgrim,” goes on a quest to discover the secret of doing this, and he’s taught to pray the Jesus Prayer by the holy men he finds along the way. “Lord Jesus Christ, Son of God, have mercy on me, a sinner.” He’s taught that he needs to continually repeat this with every breath until he can do it mentally, in the background of his mind as it were, and then he’d be obeying the apostle’s command. 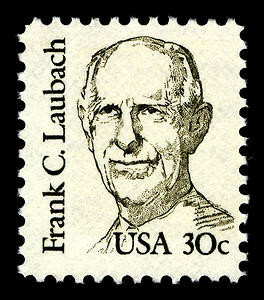 Frank Laubach, a much more modern Christian inspired by Brother Lawrence, sought to learn to pray wi thout ceasing. He was a missionary to the Philippines, and devised what he called “The_Game_with_Minutes” Not so much a game as it was a challenge, he sought to see how many minutes out of each hour how many times he could remember God once per minute (that is, at least one second out of every 60 seconds). While not easy, with intentionality and practice he found it was possible, and in fact everything else in his life became easy because of this striving to keep God at the center of his life, minute-by-minute surrendered to Him. While praying requires times of structure and devoted attention (Matt. 6:9-13), and corporate prayer is extremely important (Acts 1:14), we can learn to keep God at the forefront of our thoughts if we continually engage Him in conversation. God loves us, and He cares intimately about every aspect of our lives, even the most mundane parts of it; so we can talk to Him about every part of our lives. He delights to hear us, just as a parent delights to hear their infant babble or their adult children talk to them. 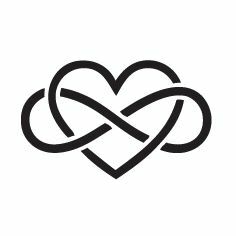 More than that, as lovers long to be with each other and talk with each other and learn about each other, so God longs for us to be with Him, to talk with Him, and to learn about Him. I think what gets at the heart of praying without ceasing is learning to live in complete and utter dependence on God for every moment of our lives. It includes rejoicing (1 Thess. 5:16) and giving thanks for His help and presence and gifts and love (1 Thess. 5:17), but a life that’s surrendered to God and obedient to His will is what’s most pleasing to God. And being a continual state of prayer – conscious talking with Him, and subconscious awareness of His presence, helps us to be dependent on Him. While it is difficult, I’m training myself to pray like this. So for example, when showering I talk to Him about my day or about the burdens on my heart. While driving I try to remember to talk to Him about the people I see driving or walking around me. When I meet with people I’m praying for God to show me what He’s doing in their lives as we chat together. And I find myself needing to constantly remind myself to do it, to pray, and to open my heart in love to God’s presence. And since I’m still working at it, there’s no need to get down on myself when I forget. I just remind myself, and go back to God in my thoughts and heart. And He is patient and will wait when I forget. Almost a constant refrain of my conscious prayer is a cry for wisdom – “God, I need your wisdom.” Often it’s not even for a specific situation, but just in general. And while I’m far from good at praying continually yet, I get short tastes of the presence of God when I do, and I get glimpses of how He guides me, and I get snippets of wisdom that is beyond my ability (or even my realization, until after the fact), so it’s a worthwhile pursuit. Many – but far too few – Christians have already known this. What keeps us from praying? Time – we lead such busy lives. While true to an extent, this is often an excuse more than anything, since we always have some time – whether in the shower, or while driving, or instead of watching TV or surfing the net or reading a book. The fact of the matter is, we don’t prioritize it, or intentionally make time for it; and if we don’t make time, time slips away. Unbelief – we don’t really believe prayer makes a difference. This is the true reason we don’t make time for prayer. If we believed in its efficacy, we would prioritize it. Maybe we’ve prayed and haven’t seen those prayers answered (at least, in the way we wanted them to be). 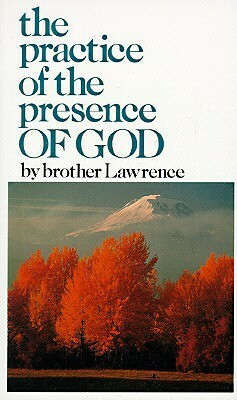 Maybe we don’t experience God’s presence and so we functionally live as if He doesn’t exist. Or maybe we’ve gone through tragedy, or been hurt (even by the church), and we didn’t see God do anything in those situations so why would He now? Our prayer shouldn’t be dependent on our experience of God or our experience of His answering our prayers or not, rather it should be motivated by love for Him and founded in the security of His love for us. When we understand, I mean really get deep down, how He loves us then we’ll trust in Him despite what does or doesn’t happen to us, and we will be one of the more free than people can understand. Fear – we’re afraid of surrendering our wills to God, and afraid of Him actually showing up! The sin that entered Adam and Eve’s hearts afflicts us still – the desire for control, and to be the masters of our own fates. To give that up without guarantee of safety or comfort is scary. But surrendering our lives to God is the best decision we can make; not having experienced that though, or seen many people who have, it’s hard for us to believe. So we pray little or not at all in hopes of clinging to the little power we actually have. But surrendering to God brings a freedom from fear, because surrendering to God allows us to know His great love for us, and ‘perfect love drives out fear’ (1 John 4:18). So, will you join me in making prayer a priority in your life? Will you seek to engage God in constant, conversational prayer in surrender to His will? It sounds impossible, but it isn’t. It sounds difficult, and it is – but it’s more than worth it. Rejoice always; pray without ceasing; in everything give thanks; for this is God’s will concerning you.